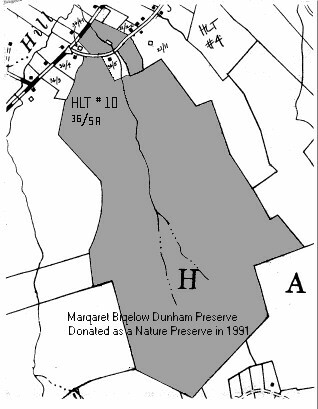 Dunham Preserve - Haddam Land Trust, Inc. 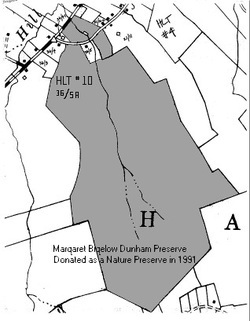 The Margaret Bigelow Dunham Preserve on Jacoby Road in Higganum was donated by Chad and Margaret Dunham as a wildlife preserve. The preserve was donated in 2 sections. The first was a 3 acre section in 1983 and the second, a 161 acre section in 1991. Although the Land Trust does maintenance and work parties along with a periodic nature walk, the preserve is NOT open to the public. Copyright 2016 Haddam Land Trust Inc. Thanks for visiting the Haddam Land Trust!